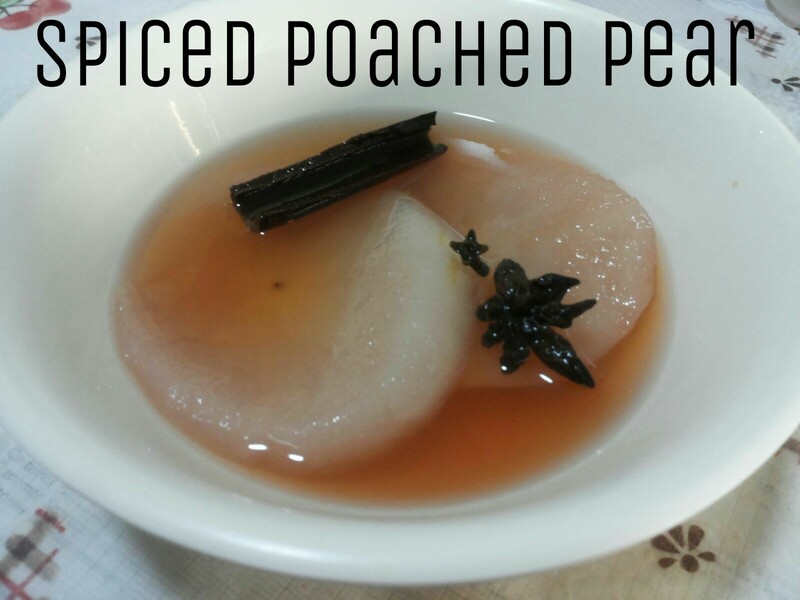 spice poached pear | Hello! Mom bought huge pears from the market today and since it had been a lazy Sunday, decided to get busy in the kitchen. Ok, not really busy cuz it’s pretty easy to prepare this. Throw in sugar, spice (I used cinnamon, star anise and cloves) into a pot of water. Let it boil. Once it boils, add the pear in it and let it simmer under slow heat. Simmer until the pear softens. Halfway through this, I remembered that I have some berry juice, so I added that in. I guess you can also add other fruits or flavouring like Ribena? 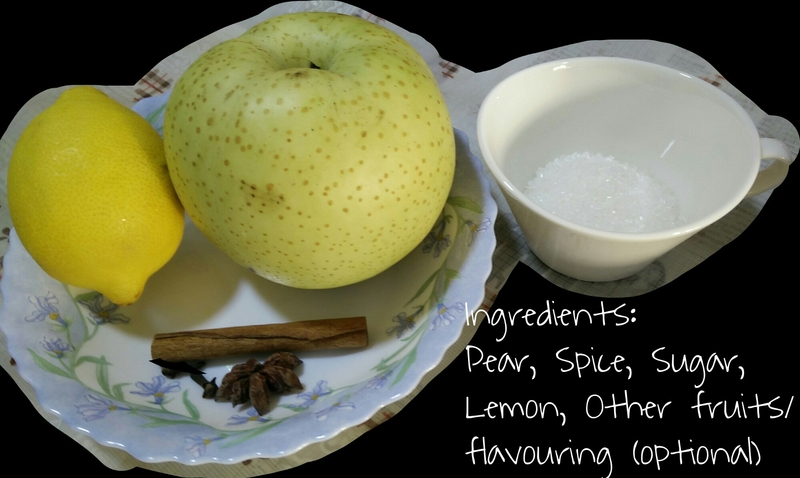 When the pear has softened, it’s ready to be served.